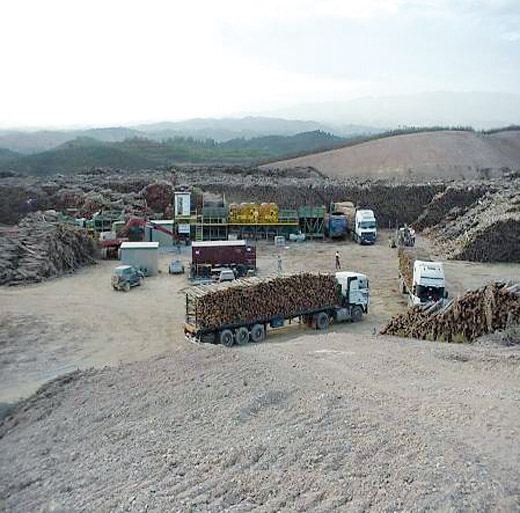 Biomass feedstock logistics encompasses all of the unit operations necessary to move biomass feedstock from the land to the energy plant and to ensure that the delivered feedstock meets the specifications of the conversion process. The packaged biomass can be transported directly from farm or from stacks next to the farm to the processing plant. Biomass may be minimally processed before being shipped to the plant, as in case of biomass supply from the stacks. Generally the biomass is trucked directly from farm to biorefinery if no processing is involved. The logistics of transporting, handling and storing the bulky and variable biomass material for delivery to the biopower plant is a key part of the supply chain that is often overlooked by project developers. Whether the biomass comes from forest residues on hill country, straw residues from cereal crops grown on arable land, or the non-edible components of small scale, subsistence farming systems, the relative cost of collection will be considerable. Careful development of a system to minimize machinery use, human effort and energy inputs can have a considerable impact on the cost of the biomass as delivered to the processing plant gate. The logistics of supplying a biomass power plant with consistent and regular volumes of biomass are complex. Most of the agricultural biomass resources tend to have a relatively low energy density compared with fossil fuels. This often makes handling, storage and transportation more costly per unit of energy carried. 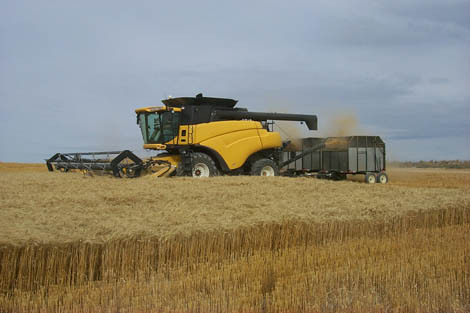 Some crop residues are often not competitive because the biomass resource is dispersed over large areas leading to high collection and transport costs. The costs for long distance haulage of bulky biomass will be minimized if the biomass can be sourced from a location where it is already concentrated, such as sugar mill. It can then be converted in the nearby biomass energy plant to more transportable forms of energy carrier if not to be utilized on-site. The logistics of supplying a biomass power plant with sufficient volumes of biomass from a number of sources at suitable quality specifications and possibly all year round, are complex. Agricultural residues can be stored on the farm until needed. Then they can be collected and delivered directly to the conversion plant on demand. At times this requires considerable logistics to ensure only a few days of supply are available on-site but that the risk of non-supply at any time is low. Losses of dry matter, and hence of energy content, commonly occur during the harvest transport and storage process. This can either be from physical losses of the biomass material in the field during the harvest operation or dropping off a truck, or by the reduction of dry matter of biomass material which occurs in storage over time as a result of respiration processes and as the product deteriorates. Dry matter loss is normally reduced over time if the moisture content of the biomass can be lowered or oxygen can be excluded in order to constrain pathological action. To ensure sufficient and consistent biomass supplies, all agents involved with the production, collection, storage, and transportation of biomass require compensation for their share of costs incurred. In addition, a viable biomass production and distribution system must include producer incentives, encouraging them to sell their post-harvest plant residue. Tagged Agricultural residues, Biomass, Biomass Energy, biomass feedstock, Biomass Feedstock Logistics, biomass power plants, biomass supply chain, Biomass Wastes, Biopower, biopower plants, Collection, crop wastes, feedstock, Harvesting, logistics, Raw material, Storage, transport. Bookmark the permalink. You have summarized it very well. I hope others benefit from your lines of thought and acknowledge you. Have a Healthy and Pleasant Year 2013 wherever you are. I wish the same to other colleagues who visit this posting. Your experience is invaluable to the industry and I hope we could cooperate in the near future, where I hope get some help from you.